Will UberEATS affect quality of high-end dining? UberEATS allows users to order food online using their Uber accounts. The app provides estimated delivery times for Uber drivers delivering from each restaurant, and diners can split bills just like they can currently split fares. 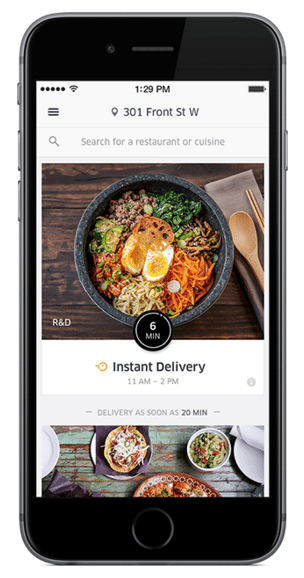 The app makes takeout from higher end restaurants not only possible, but also convenient. But what might be lost in moving to this type of dining-in? Could the ease of an app encourage the dressed-down lure of the couch? Prior the launch, several local heavyweights such as El Camino, Datsun, The Hintonburg Public House, and Luxe Bistro were all hit up in a marketing flurry by the company. 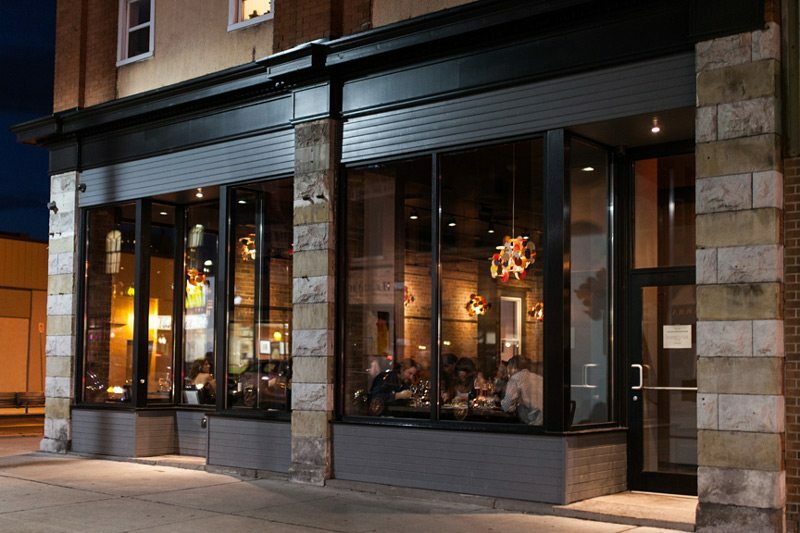 We spoke to a few of these restaurants for their thoughts on the new Uber venture. Fauna is one of the restaurants participating in the new app. However, owner Jon Svazas, says that those who order food at the push of a button aren’t going to get the full sense of Fauna. Moreover, a lot of his menu — raw fish, crudos, carpaccios — doesn’t lend itself to bouncing in a backseat. To make his menu compatible with the UberEATS experience, he had to select dishes that would travel well. Currently Fauna has partnered with the new service for lunch. Ivan Gedz, of Union 613, had similar concerns, but was one of the restaurateurs who turned down UberEATS’ pitch, citing the “logistical issue” for him with 613’s more fragile dishes — dangers of over-moist cornbread and fried chicken, for example. Gedz said it was tough to say whether he would lose in-house customers if the app became popular. But he said the biggest reason for refusing the service was a problem with parent company Uber’s ride-sharing business model. The service’s presence in the city had caused a ruckus since 2014, with critics contending Uber drivers were operating illegally and taking income from licensed cabbies. In an email to the UberEATS team obtained by Ottawa Magazine, Gedz wrote that Union 613 was not comfortable aligning his brand with Uber’s, even though city council ruled earlier this month that Uber could operate legally in Ottawa. Svazas said he didn’t have a problem with Uber’s way of doing business. For him, the main draws of UberEATS are the possibility of advancing Fauna’s reputation and having a wider selection of customers. Similarly, Noah Firestone, owner of Luxe Bistro in the market, said he’d looked into using food delivery services like Just Eat or Skip the Dishes before, but chose UberEATS because of the company’s extensive marketing power and number of drivers. Like Fauna, he would provide a limited menu; specialties like a juicy steak would be out of the question. He figured that guests who want to eat out in style wouldn’t be deterred by the handiness of the app. But the exorbitant cut that the service takes will limit his use of the service, he said. Firestone said UberEATS takes a 30 per cent chunk from the restaurant, as well as sticking the customer with a $5 delivery fee. UberEATS reps told him that the reason they charge nearly twice as much as other services is so they can provide a larger service area and get more drivers on the road. But Firestone is skeptical of its chances of success in the city at that rate. “Ottawa is a small restaurant community, and we’re basically all on the same page — this 30 per cent isn’t going to fly,” he predicts. And what about the revenue restaurants rely on from the purchase of alcohol, which often helps offsets other costs? Fauna, for example, is well known for its unique takes on classic cocktails, such as the kimchi Caesar. How sustainable is it really for high-end restaurants to sell takeaway without alcohol purchases? — It would be the equivalent to a bring-your-own wine service, except that when this happens at restaurants, at least restaurateurs are able to charge a corkage fee. And then there’s the potential for the loss of tips that wait staff and other kitchen personnel rely on to make a living wage. Only time will tell how UberEATS plays out in Ottawa. One doubts, however, we’ll see the same kind of anger and fisticuffs Ottawa witnessed when Uber’s ride sharing service showed up. Or will we?